Australia has always been a fantastic destination for people looking to escape the rat race of working and living in a big city. The cities of Australia are regularly voted the top most ‘liveable’ places in the world. Perth was voted 7th in the survey due to factors such as stability, environment, education and infrastructure. Perth is also home to top international law firms, which makes it a great place for qualified western lawyers to work and potentially get a foot-hold in the Asia-Pacific market, if that is an end goal. 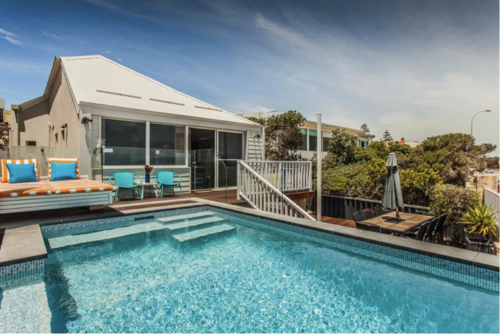 Here is a quick guide to the perks of living and working in Perth that a lawyer should know about before taking the plunge and moving down under. 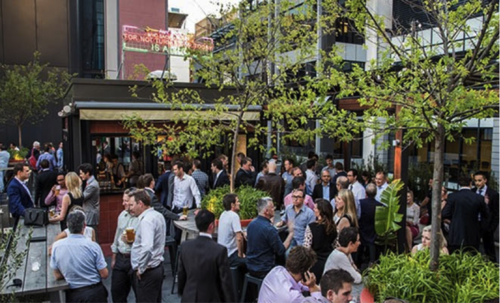 There is one thing that Perth is very good at; after-work drinks! When you have had a hard day in the office it is not uncommon for many firms to debrief their day over a glass of wine. This is just one example of the laid-back way of life in Perth. One of the most highly recommended places is ‘Bob’s Bar’. This cool hang out on St Georges Terrace has fantastic views of the city and offers a relaxed atmosphere with a Mexican inspired theme. The perfect pit-stop to unwind and set the world to rights. 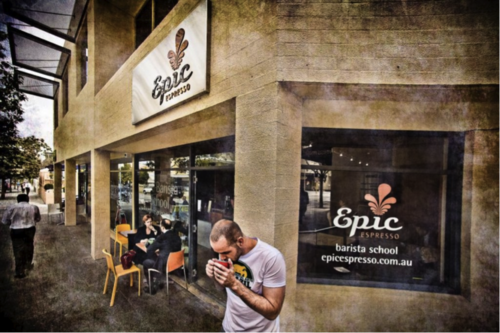 Just like us Brits and our friends across the pond, Aussies love their coffee which means that Perth is full of big brand coffee houses, as well as small independent outlets. If you like your espressos, then the aptly named ‘Epic Espresso’ is very popular with professionals during lunch hour. The coffee bar also does all the usual muffins and small lunch time snacks which is perfect for grabbing lunch on the go. A common occurrence in Aus is having impromptu BBQ’s on the beach. 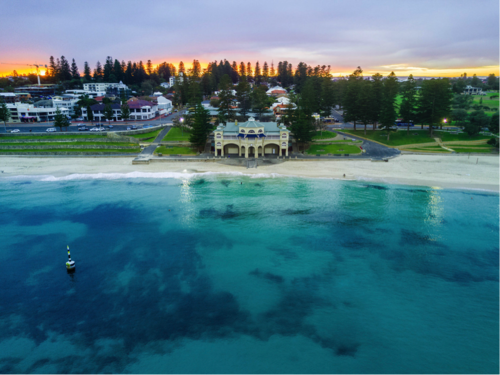 One popular place for this is Cottesloe Beach. This beach has seating areas with tables and gas cookers that are free to use. As you can imagine, they are very popular with families and people looking to unwind after a long week at work. Imagine having your dinner and then walking along the beach as the sun sets, idyllic right? There are also holiday villas nearby with beach views that are popular with friends and families of expats. These properties can be rented throughout the year but book up quickly during the summer months. So make sure you book plenty in advance! Great food and a view of a famous vineyard? Oh, go on then! Australia is known for its seafood and wine so there is no better place to go then the ‘Wills Domain’ restaurant in Yallingup. This has been hyped as one of the best places to eat as their plates are decorated in foraged leaves, herbs and edible flowers, presented as though they’re part of an art installation – almost too beautiful to eat. Best of all there is a children’s play area outside, within view of the restaurant, which is perfect for adults with small children. 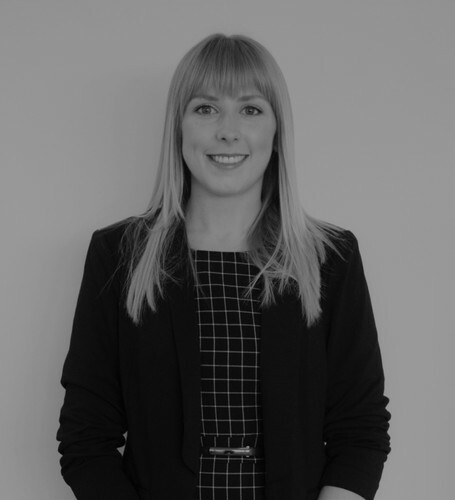 If you are interested in a move to Australia, our Senior Recruitment Consultant, Lauren Chester can be contacted via: +44 161 870 6776 or email lchester@nexuslr.com . Lauren will be visiting Perth the week commencing the 8th October with our Director, David Warburton. To meet up for a coffee please contact Lauren using the details above.